Over the past 20 years, food companies have experienced increasing pressure to be more flavor-competitive, especially now that Food TV-savvy Americans are demanding authentic ethnic cuisine. Food processors recognize the need to bring on culinary expertise to meet the demands of this more culinary educated consumer. So companies began bringing in chefs to create gold standards and to help the food scientists understand how the final product should taste. While chefs brought great ideas, they didn't always understand the food scientists' requirements. But as the two types worked together, a new kind of food developer emerged: the Research Chef. While the roles of research chefs in the different arenas of food product development are relatively similar, processes (and stresses) will differ depending on the area of industry focused on. Kit Kefir, corporate executive chef for Schwan's Food Service Inc., Marshall, Minn., which has foodservice at its core, notes that his team works both proactively and reactively with its clients — predominantly developers for the foodservice industry. Regardless of whether the client comes to Schwan's seeking new ideas or Schwan's is taking the initiative to update clients on the latest menu trends or promoting products on their client's own customers' radar, the research chefs are always the first point of contact with the client. The chefs will "bench" with their client to create initial rudimentary prototypes. Once approval takes place, it is handed off to the food scientists to finalize the commercialization, although the chef remains involved to ensure the concept stays as close to the gold standard as technically possible. Joe Ascoli, research chef at soup-maker Kettle Cuisine Inc., Chelsea, Mass., and Eric Sparks research chef for Park 100 Foods Inc., Tipton, Ind., relate similar roles in their operation. "I'm actively involved in bringing new product concepts from my research, dining experiences or from experimenting in the test kitchen," says Ascoli. "I then take the lead in shaping those concepts into bench-top prototypes for testing and evaluating, and am an active participant in gathering operator and consumer feedback." Ascoli also works closely with the company's product engineers to ensure they scale up formulations correctly and that batches are properly monitored for consistency. "The first step is to identify gold standard targets and all of the product attributes," adds Sparks. "Then you formulate to those specific goals and targets." The research chef role continues even after the first production run, with the chefs typically taking the responsibility for making sure quality targets are consistently met. The focus of the research chef developing retail products is defined almost exclusively on consumer trend information provided by internal marketing departments. "As a food scientist with culinary training, my role is to work closely with the marketing and R&D teams to ensure we are creating foods that consumers will not only crave but that are also good for them," says Andrew Moltz, corporate executive chef for Quaker Oats Co., Chicago. "This means closely following consumer eating trends going on in and outside of the home, and ensuring we're incorporating these concepts into great tasting, oat-inspired products that are easy to make." Stephen Kalil, corporate executive chef for Frito-Lay North America Inc., Dallas, describes the Frito-Lay approach to product development, as a "collaborative culinology effort" that includes both food scientists and chefs. The team consists of four food scientists and four research chefs working together in the culinary center reviewing consumer research and then translating it to a culinary execution that is meaningful to that particular consumer demographic. The ideas can involve a new type of snack product or a new flavor profile for an existing product. The culinology team will identify trending tastes, such as hot wings and cheeseburgers, and render a culinary execution by creating a seasoning blend that goes onto the chip. The food scientist and the chef work together to evaluate the blend and make sure they deliver that profile. "Our culinary team is part of the 'Strategic Technology and Innovation' internal consulting group, which includes food safety, marketing and food scientists," says Harry Crane, executive chef at Kraft's Culinary Center of Excellence in Madison, Wis. Sometimes the research chefs in Crane's team are not the developers per se, but they work with the R&D and marketing teams as the "fuzzy" front and back end of the process. For example, they will explore meat concepts such as "braised" or "encrusted" and work with the developers to create the gold standards. At that point, the product moves into commercialization and Crane steps out of the process, only to step back in to assist with recipes for the back of the package and website once the product is complete. They have to make sure the cooking instructions are accurate and suggest visuals during the photo shoots. As with other retail companies, the chefs at Kraft work closely with the marketing brand teams and one of their main roles is to bring food trend and restaurant information to the team and to be the culinary resource. Lorenzo Boni, executive chef for Barilla America Inc., Bannockburn, Ill., makes products for both foodservice and retail, but his approach is highly similar to Crane's team at Oscar Mayer. "The culinary team and I are involved at the outset of retail product development, creating the gold standard recipe our food scientists and engineers will emulate as they scale it for mass production," he explains. 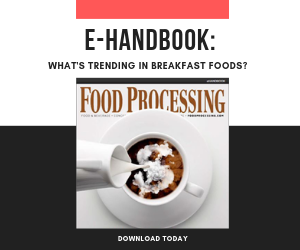 All of the research chefs interviewed for this article agree that the trends for 2013 include flavors that are bold, regional and authentic. "Hitting the ‘middle of the road' is going away; the new way has moved to bigger and bolder flavors that call out the specific ingredients being used to drive that flavor," announces Eric Sparks, research chef for Park 100 Foods Inc. Kit Kefir, corporate executive chef for Schwan's Food Service Inc., agrees. "Ethnic flavors continue to rise but we need to dive deeper into the sub-categories of those flavors and create not just a curry, for example, but curries specific to individual regions." As an example, Stephen Kalil, corporate executive chef for Frito-Lay North America Inc., points to the gas station Stripes and its Laredo Taco Co., near the Texas-Mexico border. They make fresh, authentic Mexican food that is not Tex-Mex or Southwest-influenced, but authentic Mexican foods. Lorenzo Boni, executive chef for Barilla America Inc., adds that chefs are going back to "forgotten traditional recipes" but adding in modern flavor twists. Artisan-inspired fermented foods also are making a comeback. Chef Crane notes the growing popularity of preserved foods. "People are getting back into brining, fermenting and making their own kimchi and sauerkraut," explains Harry Crane, executive chef for Oscar Mayer. The more "macro" trends of clean labels, minimal processing, no preservatives and focus on local ingredients also are big, but it can be a challenge to bring such concepts to manufactured products. Still, the industry has seen labels becoming cleaner as developers eliminate preservatives and artificial ingredients. Food and beverage makers are moving to accommodate the functional and dietary needs of specific consumers. "Functional ingredients are still important, and people gravitate towards products like vitamin water and gluten-free foods," says Kiefer, while Ascoli notes the growing focus on allergen-free options. "As production samples come out throughout the process, we taste and test them. Once a product is in the box, we create recipes that go on the package and on our website." Boni also supports their foodservice team at trade shows, events and menu development, and works with PR and marketing using social media to promote to media and consumers. Foodservice chefs have more influence in finished product concepts versus their retail research chef counterparts, whose influence leans more toward working with the marketing team and internal product developers to ensure authenticity in the finished product. "In foodservice product development, the culinary team has a lot of influence in the early inception stages and in driving the project to the stage-gate process," Schwan's Kiefer explains. "However, as the project progresses and involves capital expense and equipment adjustments, there are others in the process that could change the direction or even put a halt to the project." Park 100's Sparks concurs, expanding, "The chefs have major influence in how the project is approached and it is always culinary first and food science second. It all starts with knowing the culinary attributes and techniques of the product, and then later enhancing those techniques with food science and industrial ingredients." Kettle Cuisine's Ascoli describes his team's approach more generically: "In our company, we don't really think about influencing things; we view [our position] more as contributing wherever and whenever we can to advance our mission." Ascoli is responsible for leading product-development efforts, supporting the marketing team in educating their consumers about the products, attending trade shows and calling on their customers. He also works with the operations group selecting ingredients and training employees on best cooking practices. The retail product development chefs also have influence, but more internally with their own marketing and development teams. "Anytime there is a question about culinary issues, they come to me and I am expected to know trends and flavor profiles," Crane explains. He visits flavor suppliers and decides which flavors make the most sense for the prototype in progress. Kalil describes the process at Frito-Lay as "a productive collaborative environment, with marketing, R&D and the chefs all working together to make sure the message is relative and the product can be commercialized." The chefs bring their view and perspective to the food products and they work with R&D to come up with solutions. The role of the research chef is to bring their culinary knowledge to the manufacturer's table while still taking into consideration the technical challenges of the manufacturing process. Products must be heated, dehydrated and preserved in order gain shelf stability and this can affect the finished product flavor. Research chefs work together with the food scientists to ensure their companies continue to bring flavorful and functional products to the market.